The Manchurian Candidate (1962) is one of the 1001 classic movies you should see. 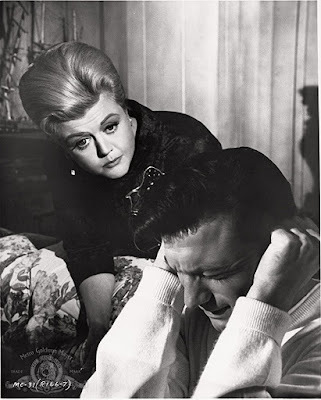 The political thriller stars Laurence Harvey as a disturbed Korean War veteran and Angela Lansbury as his domineering mother. Each week, I'm going to recommend a classic movie you should see (for the reasons behind the 1001 series and reviews of earlier films covered go here). 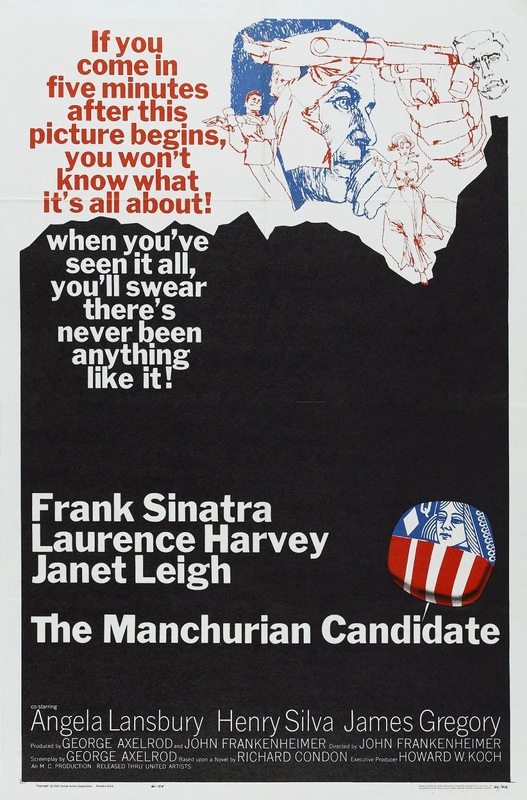 This week's selection is the political thriller The Manchurian Candidate (1962). 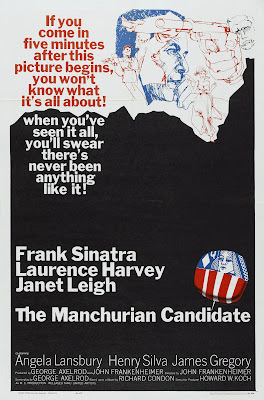 The Manchurian Candidate tells the story of U.S. Army Maj. Bennett Marco (Frank Sinatra), who, along with Staff Sgt. Raymond Shaw (Laurence Harvey), are lauded as heroes for escaping capture in Communist China during the Korean War. Raymond receives the Medal of Honor for his heroic actions, and Marco receives a plum assignment in Washington D.C. However, the major is plagued with re-occurring nightmares about his time in Korea that lead him to believe that he and his whole platoon may have been brainwashed by foreign agents. The Manchurian Candidate is based on a 1959 novel by Richard Condon that caught the fancy of screenwriter George Axelrod (The Seven Year Itch, Breakfast at Tiffany's). He brought it to the attention of his friend, director John Frankenheimer, and the pair put up their own money for the screen rights. No Hollywood studio would touch the controversial material until Sinatra -- who had also read and liked Condon's novel -- got personal permission from President John F. Kennedy. The result was a critically acclaimed film that is now regarded as one of old Hollywood's best political thrillers. The Manchurian Candidate was a comeback role for Angela Lansbury who plays Raymond's domineering, manipulative mother, Eleanor Iselin. Lansbury arrived in Hollywood in the mid-1940s as a refugee from World War II Britain, and after a successful stint at MGM, Lansbury spent most of the 1950s working on TV. Sinatra wanted Lucille Ball for the pivotal role of Eleanor, but Frankenheimer insisted on Lansbury, whom he had just worked with in the drama All Fall Down (in that film film, Lansbury played Warren Beatty's domineering, manipulative mother). Frankenheimer's instincts proved correct: Lansbury turns in a fearless performance as a ruthless political operator whose love for her only son is much darker and twisted than it originally appears. 1. Eleanor/Raymond relationship. In the novel, The relationship between Shaw and Lansbury was incestuous, but that could only be implied in a Hollywood film of the 1960s. Lansbury does this brilliantly in what is still a fairly shocking kissing scene. 2.TV. The Manchurian Candidate is one of the few old Hollywood films that deals with the power of TV, especially in shaping American political discourse. Several scenes are shown through a TV screen or through characters watching what is happening on a TV screen (Lansbury does this brilliantly). 3. Dream sequences. The Manchurian Candidate is first and foremost a political thriller, but the film does delve into science fiction through the scenes that feature Major Marco's dreams. These surreal, superbly edited sequences influenced later films like director Christopher Nolan's Inception (2010). 4. Janet Leigh's character. Leigh plays the love interest of Major Marco. While the character was supposed to be a conventional girlfriend, her sometimes bizarre behavior has led some to believe she's actually a foreign agent who is sent to spy on Marco. For example, she dumps her fiance after knowing Marco for a few hours and engages in bizarre conversations about different U.S. states (sample dialogue: "Maryland is a beautiful state. So is Ohio."). Here's Roger Ebert's take. Frank Sinatra, Janet Leigh, and Laurence Harvey in a publicity still for The Manchurian Candidate (1962). Other critics: The Manchurian Candidate has a 98 percent fresh rating on Rotten Tomatoes and Leonard Maltin calls the film "tingling political paranoia" in a 3.5 star review for his Classic Movie Guide. Critics in 1962 had mixed opinions of the film. The New York Times critic Bosley Crowther spent most of the review waxing sarcastic about what he felt was the movie's unbelievable plot ("as wild a piece of fiction as anything Alfred Hitchcock could present") but he did note that the audience was likely to go along with the movie because "it is directed and acted in a taut and vivid way." Variety reviewer Vincent Canby was much kinder. He penned a rave review in which he praised the "jazzy, hip script" and the "hypnotically weird dream sequences." He went on to add: "Every once in a rare while a film comes along that 'works' in all departments, with story, production and performance so well blended that the end effect is one of nearly complete satisfaction. Such is 'The Manchurian Candidate.'" The Bottom Line: The Manchurian Candidate is perhaps more relevant today than it was in 1962, but it's a must-watch film even if you aren't interested in politics. Watch it for a never-better Lansbury as the peak of her acting powers and Frankenheimer's groundbreaking direction. 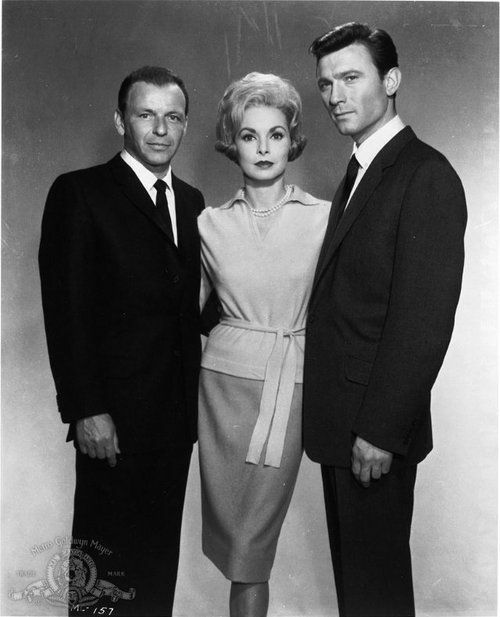 Availability: The Manchurian Candidate will air at 5:45 p.m. Oct. 30 on TCM. Also available on DVD, Blu-ray, and video on demand. Next week, I'll celebrate Screwball September with a review of William Powell and Carole Lombard in My Man Godfrey (1936)..